The exceptional singer Darshini, who earned a lot of attention with her mantra cd „Prema Bhava“, joined up with cosmic india trio Karmacosmic for a production well worthy to listen to. 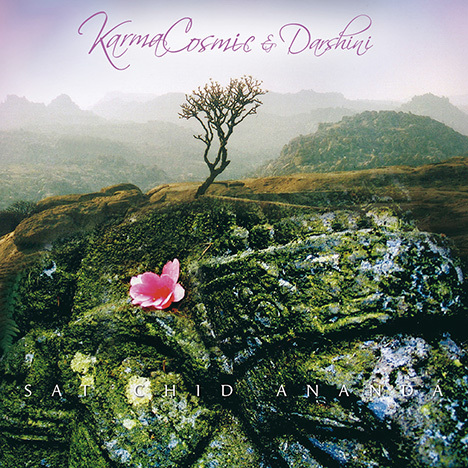 After Karmacosmic debut „Music for Tantra & Meditation“, the three renowned musicians remained true to their distinctive style, a fancy composition of ethno- world- music and ambient & chill- out, but enriched their work with Darshinis sophisticated mantra-singings, who – being a trained yoga teacher – genuine lives spirituality. Darshini, whose chanting emanates passion and magic affiliates her musical work with yoga techniques and meditation so that once being in this special state of consciousness, she can show herself to her chanting with all abandonment. At last it shoudn`t be kept quiet that Karmacosmic incorporator Gleisberg, established since 15 years with symphonically coined compositions on numerous cd publishments, met Darshini in a yoga- ayurveda– ashram where the idea of a collaboration was born.